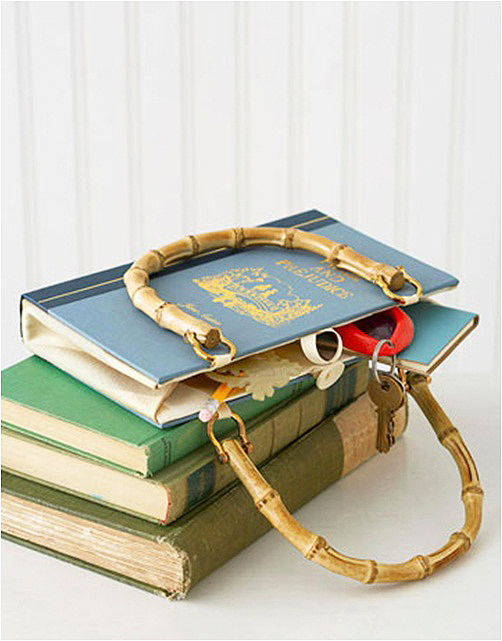 You are a book lover or you know one? 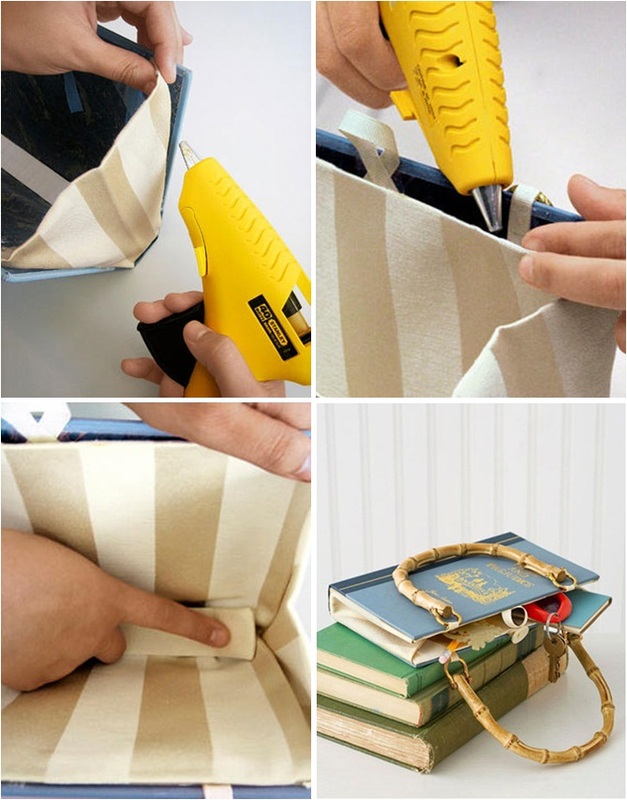 Then you’ll eventually love this DIY book cover clutch. Yes, yes, I hear you, I hear angry comments about the deterioration of books. 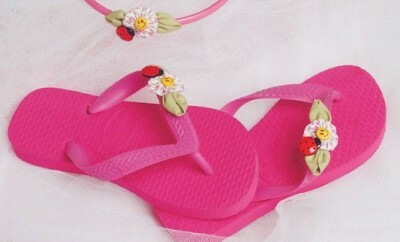 But this idea is so creative that we could’t resist it. 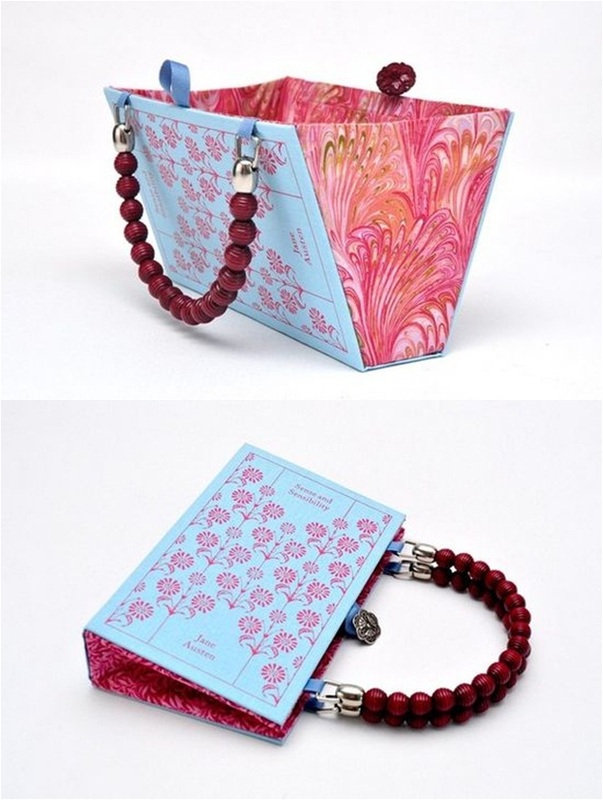 You can bring your favorite hardcover everywhere with you by transforming it in a stylish bag. It is a great conversation starter, too. So let’s have a look at the step-by-step instructions. 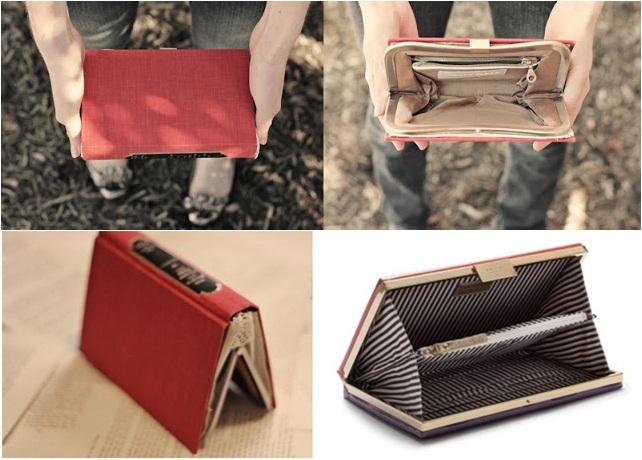 So, you will need a sturdy book with hard covers, glue, fabric, a handle kit, zip or buttons and a stationery knife. 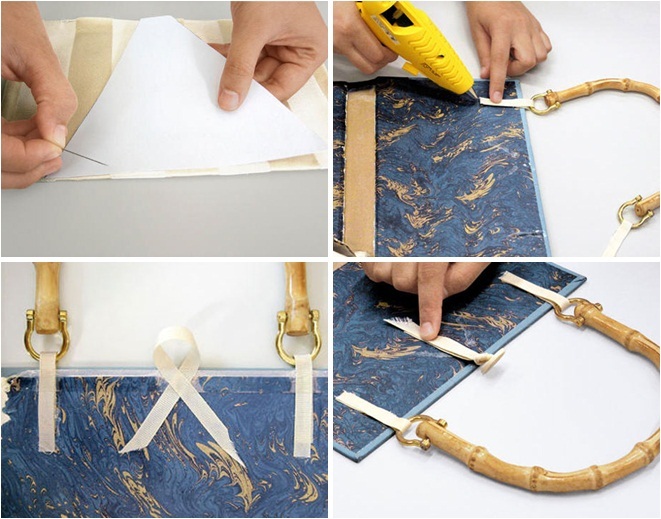 Carefully separate the pages of the book from the cover with a stationery knife. 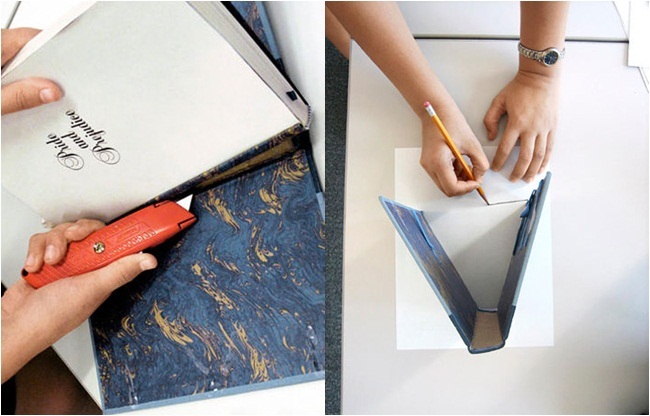 Stand the book cover on a piece of paper and draw a triangle around it. We created the template for the fabric inside. Fold the fabric in half and cut around the template. After that seal the edges with a glue. Repeat for the second bag inset. 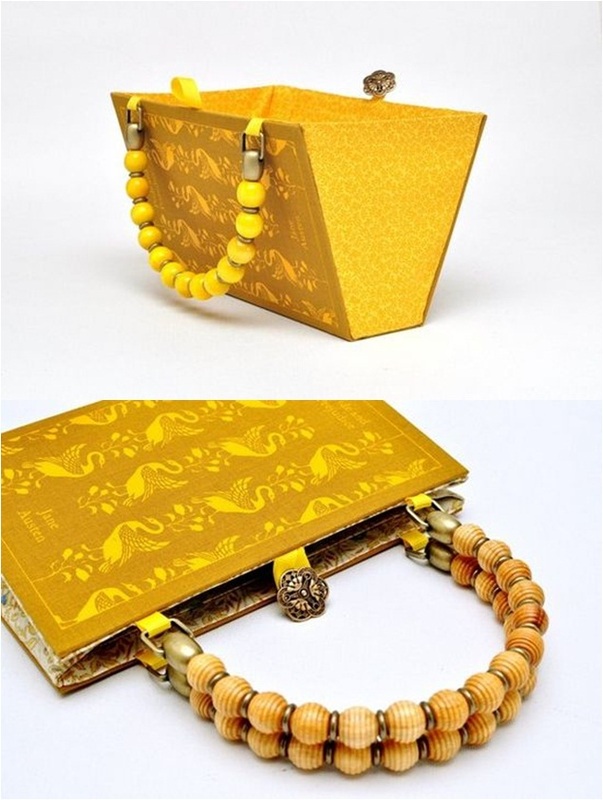 Attatch the handles with ribbons glued ton the book’s interior. Make sure that the handles are centered. Make also a small loop for the button. On the other side glue the button. Glue the fabric triangles you made earlier. Cut a strip of a cardboard and glue it on the book’s spine for reinforcement. Glue the insets along the covers’ interior edges and the fabric lining.